Chip producers market lots of 'healthy' alternatives to traditional potato chips. But are they really better for you? Even if a food is downright terrible for you, the label on the box will often try to convince you that it's healthy. Like putting a "made with real fruit" label on a box of fruit snacks, even though they contain only a small fraction of legitimate produce. One of the biggest food trends of the last few years has been "healthy chips." Nearly everyone loves chips, but traditional potato or corn chips are notoriously unhealthy. As more people become concerned with what they are putting into their bodies, old-fashioned chips don't fit into their diets. That's why a large number of companies have produced some sort of "healthy chips," which claim to be nutritionally superior to traditional chips but still taste great. Are these so-called healthy chips really good for you? Or are they another example of deceptive marketing? STACK looked at five types to learn whether they are really fit for jocks. Unlike traditional potato chips, "baked chips" are baked instead of fried, which supposedly makes them healthier. Baked chips are often significantly lower in fat than their fried counterparts, which can quickly convince someone they're a smarter choice. If you're looking for a chip lower in calories and fat than traditional potato chips, baked chips do fit the bill. A serving of Lay's OvenBaked Original chips contains 40 fewer calories and 8 fewer grams of fat than Classic Lay's Chips. However, baked chips are similarly low in vitamins and minerals—which means they cannot compare to a piece of produce as a healthy snack. They're also higher in carbs than traditional chips. Lay's Baked chips have 8 more grams of carbs than Classic Lay's. Furthermore, baked chips have been found to be significantly higher than traditional fried chips in acrylamide, a potential cancer causing substance. Although the evidence of acrylamide's cancer-causing properties is not conclusive, the FDA has advised consumers to monitor their consumption. Bottom line: baked chips are less unhealthy than traditional chips, but they certainly aren't healthy. And if you're buying baked varieties of highly seasoned snacks, such as Flaming Hot Cheetos, the nutrition facts are worse and the ingredient list is especially lengthy. Veggie Chips. They have got to be healthy, right? They're made with real vegetables! Veggie chip packaging does everything possible to convince you that they are a healthy option. The word "veggie" alone carries a lot of weight, but you can also expect to see words like "natural," together with pictures of produce and natural scenery. As it turns out, munching veggie chips is no match for actually eating broccoli (or spinach, tomatoes, etc.). Veggie chips are a classic case of a food that sounds too good to be true—because it is. Although veggie crisps use a wider variety of vegetables than classic potato chips, they aren't much better in terms of nutrition. Snyder's Eatsmart Garden Veggie Crisps have only 10 fewer calories than Snyder's Original Potato Chips and are actually higher in sodium and carbs. But perhaps the biggest issue with veggie chips is that they contain nowhere near the amount of vitamins and minerals one expects from vegetables. For example, a single raw leaf of spinach contains 18 percent of your daily vitamin A; and a wedge of raw tomato contains 7 percent of your daily vitamin C. In contrast, Snyder's Eatsmart Garden Veggie Crisps contain 0 percent vitamin A and vitamin C, despite their packaging claiming "tomato & spinach" front and center. This is common for veggie chips, and it's due to both their cooking process and the fact that they don't actually contain a whole lot of real vegetables. Veggie chips are basically nothing more than thinly disguised potato chips. If you think you'll get a ton of useful vitamins from a veggie chip, be sure to check the nutrition facts to find out how healthy they truly are. Besides frying and baking, "popping" is another way to prepare chip snacks. Popping is a cooking technique that uses high pressure and heat to create a light, airy chip. Like baked chips, popped chips are marketed as healthier than regular potato chips. Popchips are the best known brand on the market. The basic nutrition facts of Popchips represent a definite improvement over traditional chips. Compared to Original Pringles, for example, Popchips are significantly lower in calories, fat and saturated fat. 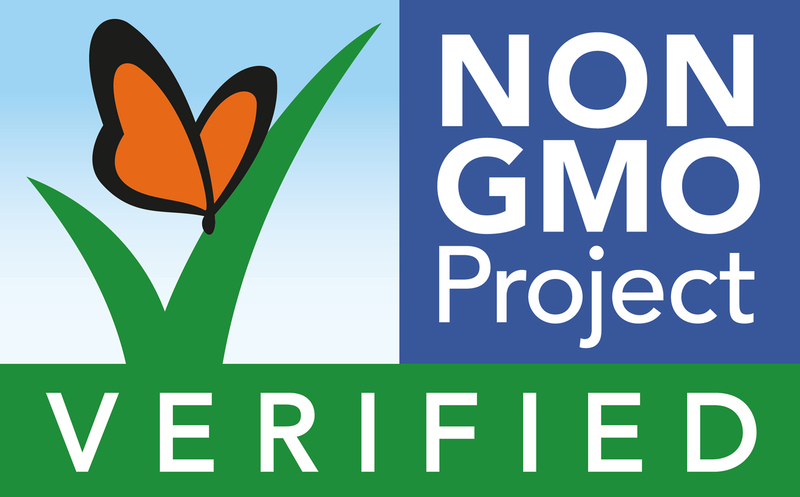 They're also certified GMO-free, which is great. Those are big pluses, but popped chips are still essentially made mostly of potatoes and salt. They can only be relatively healthy—no matter how they're prepared. They barely have any fiber and protein, and they have nearly no vitamins or minerals. Are they better than regular potato chips? Sure. But a lot of other snacks have more to offer than popped chips. SunChips have been around a long time, and they've always been marketed as a healthier option than traditional potato chips. The name "SunChips" sounds all-natural and eco-friendly, and SunChips sell themselves as "multigrain snacks." But SunChips are a classic example of an unhealthy snack using marketing to hide its real nutrition. In 2013, Frito-Lay was sued for falsely claiming "made with All NATURAL ingredients" on SunChips packaging. On Frito-Lay's website, SunChips packaging no longer contains that claim. In reality, SunChips are made with GMO ingredients. Furthermore, it was recently discovered that 100 percent of the corn used in SunChips was a GMO variety; and that SunChips also contain glyphosate, a.k.a. RoundUp, a weedkiller that's been linked to cancer. And for all of this, SunChips aren't even much better than Doritos. A serving of Garden Salsa SunChips has the same amount of calories and saturated fat and more carbs as a serving of Nacho Cheese Doritos. Both are super low in vitamins and minerals, as well. A wide range of chips stand out for one or two unique ingredients—usually items known to be healthy, like beans, quinoa, brown rice, etc. Consumers naturally assumes if said healthy food is in the chip, the chip is a smart choice. Many of these chips do have advantages over traditional chips. For example, chips made with quinoa or black beans are often higher in protein than traditional chips. However, most chips of this type do not contain the benefits one expects from their primary ingredient. For example, basic quinoa contains high amounts of iron and fiber, whereas the quinoa chips listed above have no iron or fiber. The refining or cooking process often strips many of the benefits from these healthy ingredients, so a chip can never live up to the real thing. Obviously, if you opt for some of the more heavily seasoned options, you'll get a longer ingredient list and worse nutrition facts. Bottom line: eating the actual healthy ingredients in these chips is more beneficial than eating the chips that contain them. Black bean chips are not better for you than a serving of black beans. True, many of these chips are healthier than traditional chips, but we can't say they're outright healthy. Lots of chips present themselves as healthy options. Many do have great qualities. Some are lower in fat and calories than traditional chips. Some are higher in protein or fiber. Some use higher quality ingredients. But there's only so much you can do to improve the nutritional profile of a chip. Even when producers include superfood ingredients like quinoa, the cooking process strips them of most of their nutritional benefits. No matter what the front of the bag says, no chip is truly healthy. You can certainly enjoy chips on occasion, but you're better off sticking with healthier snacks such as produce, nuts and whole foods.